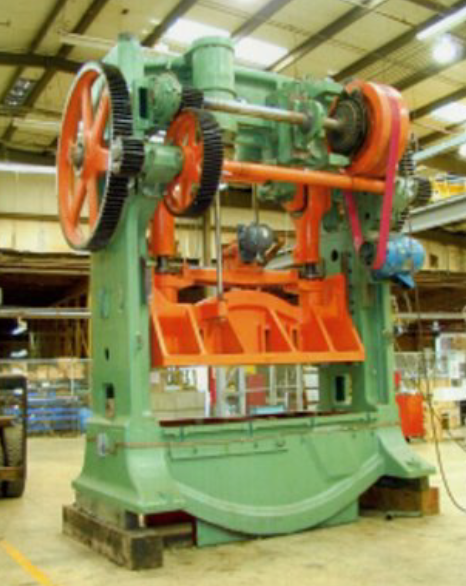 At PRESS, our state of the art equipment and dedicated, knowledgeable staff of highly experienced journeymen millwrights and engineers can rebuild your press to the exacting standards the original manufacturer specified, and, in many cases, make improvements to extend the life of your equipment. Our journeymen welders are among the best in the business, with many, many years of experience. It might seem odd we'd showcase welding as one of our best services, but when you take into account our welders can repair a broken crank weighing in the tons, our machinists can turn that crank back to original specifications and it lasts longer than the original part, you might understand why we love our welders so much. 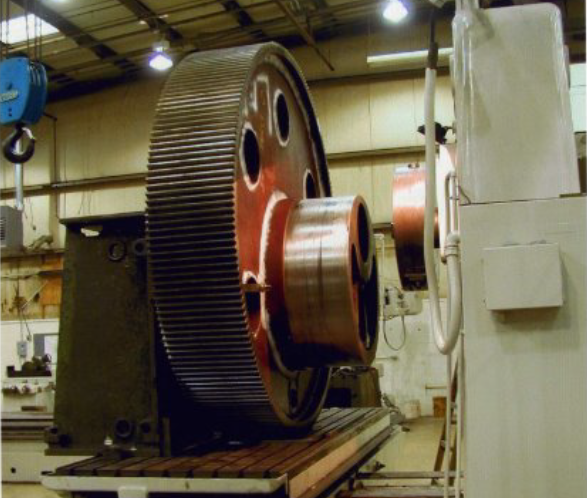 From our massive lathes to the newly installed Gilbert computer controlled five axis tool, our journeymen machinists have the tools and equipment to deliver excellent machining results. Quality machining is our hallmark and whether it's just leveling your stamping decks or creating a whole new piece for your press from scratch, we're up to the task. Opening its doors on December 5, 1978, business partners Dennis Christian and Jack Miner grew their metal stamping and forging press repair business into the company it is today. Starting out in a small concrete block building near the center of Morristown, TN and finally ending up in the current 62,000 square foot facility they are in now, the company has faced many trials and tribulations. A fire in 1998 destroyed most of the facility they were in prior to their move to their current building. The events of 9/11 and the economic downturn that devastated the nation's industrial base were weathered with shrewd business management and the unfortunate need to lay off good people when times were lean. August 2009 saw the most devastating event in the company's history - the untimely death of Dennis Christian, the company's president. No matter how tough it's been or how rough the road, PRESS has stood the test of time and remains a resilient runner, continuing to serve the manufacturing community, always improving and striving to be the best. Starting the quote process for your repair can happen with either a phone call or via email. Call 1-423-586-2406 and our friendly front office staff will get you to the right person fast in order to initiate your quote, always offering a live voice during business hours and not some faceless computer asking you to press 1 for... You get the idea. Or, if you want us to get back to you with the quote process, just drop an email to bperkey@press-inc.com to get the ball rolling.